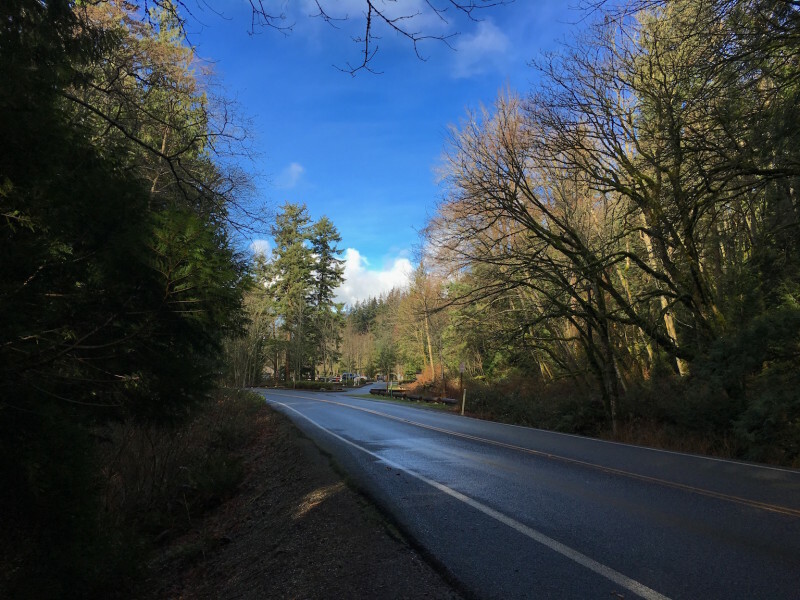 Chuckanut Road at the Larrabee State Park entrance. After parking and dismounting near the entrance to Larrabee State Park, I noticed the play of light and shadow on the road. That made me pause, get out my iPhone (which seems to be my camera of choice for grab shots), and make a capture. What a beautiful place, and wonderful hike, and I spent time with fine company. It was a good day.